This is probably the BEST Interactive description of the Offside Rule every made. US Youth Soccer has added another educational opportunity for coaches, referees, administrators and parents with the addition of the Coaches Connection. The Coaches Connection provides members with a link to the US Youth Soccer Coaching Education Network: The National Director of Coaching Education and staff, plus 55 State Association Directors of Coaching Education and their staff, as well as guest lectures from around the world! Whether you are new to Coaching Soccer or you are a Veteran Coach this site is a resource of FUN activities which a coach can use during practices. Put together and managed by the Soccer-RI Coaching Education Staff. FIFA (Federation International Football Association) provide the basic laws for world football, on which countless rules are set for competitions, transfers, doping issues and a host of other concerns. If you haven't watched Fox Sports on TV you should. However; if you do not have access to the Fox Sports Channel the website is a great alternative to catching up on all the latest Soccer News from around the world. 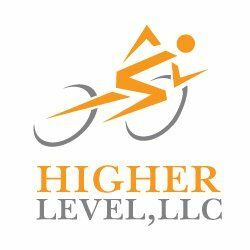 Higher Level is a sports performance company that assesses the biomechanics of all athletes for any sport. We have designed a fun-filled training system that enhances and develops the motor and cognitive skills for athletes of all age levels. It is our goal to give every player a competitive advantage over their peers. Every session is different even if the desired outcome is the same, this consistently challenges the athlete. Ocean State Soccer has launched a Uniform Recycling Program. At the end of the season please launder and return your uniform (shirt, shorts and socks) to your coach. We will be sending them to needy teams across the country and around the world who donÃƒÂ¢Ã¢â€šÂ¬Ã¢â€žÂ¢t have uniforms! This is your chance to recycle all those used Ocean State Soccer uniforms stuffed away in your closets. Ocean State SoccerRECYCLE will recycle more than 1,000 uniforms a year while helping the less fortunate. RI Reporter Jim Hummel created this story to help OSS celebrate our 30th year anniversary. Each month, US Youth Soccer posts a new article specifically for the youth soccer parent. The FIFA "Laws of the Game" are modified by the International Football Association Board (IFAB) each July. The RI Stingrays are part of the United Soccer League. Participating in the Premier Development League (PDL), the Stingrays play in the Northeast Division of the Eastern Conference. If you want to stay informed of all the latest News and Announcements regarding US Soccer then this is a site you may want to keep revisiting. The US Soccer Foundation is the Major Charitable Arm of Soccer in the United States. A great site to visit.